Some architects may achieve a star status a few years after setting up their practice; others may instead take more time, as it happened to Umberto Riva. Critics started acknowledging the Italian architect around 2003, when the Milan Triennial awarded him the Gold Medal for Architecture, but a recent exhibition coinciding with Milan Design Week is currently inviting architecture and design fans to (re)discover him. "Forme: Umberto Riva, architetto designer" (Shapes: Umberto Riva, designer architect; until 5th May) at the Fondazione Sozzani looks at Riva's practice through carefully selected projects and pieces. Born in 1928 in Milan, Riva studied architecture in Venice, where he discovered Carlo Scarpa. Fascinated by Le Corbusier, Charles Rennie Mackintosh and Gerrit Rietveld, as a young man Riva developed an interest for materials, techniques and technologies. After graduating he opened his studio and started a personal and rigorous research defined by critics as a sort of journey in the footsteps of Carlo Scarpa. Throughout his work Riva reaffirmed the artisanal role of the architect and the pleasure that derives from manual work, and always worked following his own rhythms and taking all the necessary time to complete commissions. Dynamic, open and inclined towards seeking out unusual solutions, the architect developed a unique approach to his work, a passion for new explorations in spaces and a strong desire to constantly question himself. Riva mainly designed domestic spaces, residences and homes, focusing also on renovations and restorations of urban spaces in Milan, Ancona and Rome, but also worked on interior design pieces such as the Franceschina lamp for Fontana Arte, and created spaces for exhibitions and installations. The event at the Fondazione Sozzani is divided in different sections, looking at his lamps, interior design objects such as his E19 chair, and paintings and photographs showing his studies on geometries, colours and spaces. His drawings and paintings employed for carpets for Tacchini are particularly beautiful, with shapes and combinations of colours that call to mind Futurism or Orphism. 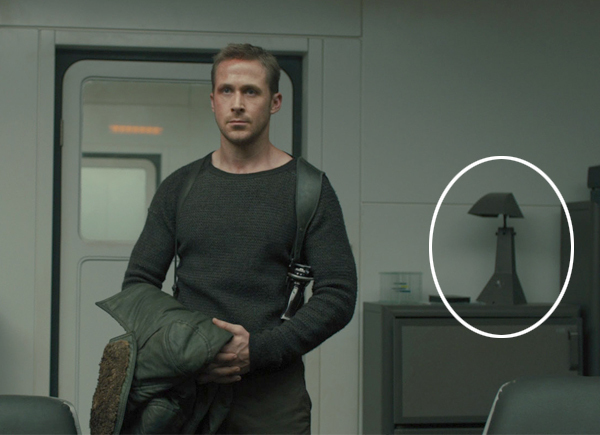 Visitors will also be able to discover interesting cinematic moments in his career: Riva's "E63" lamp, inspired by a sculpture by Brâncuși and designed in 1963, appears indeed in Denis Villeneuve's "Blade Runner 2049" (View this photo), reminding us that the shape of timeless design objects can help us creating intriguing anachronisms in both fiction and life. The event at the Fondazione Sozzani is accompanied by "Umberto Riva", a new architectural video by Francesca Molteni and Claudia Adragna.